The Swan STM200N Teasmade is a stylish tea maker and alarm clock all in one. Thanks to the STM200N Teasmade you can wake up to a hot cup of tea every morning. 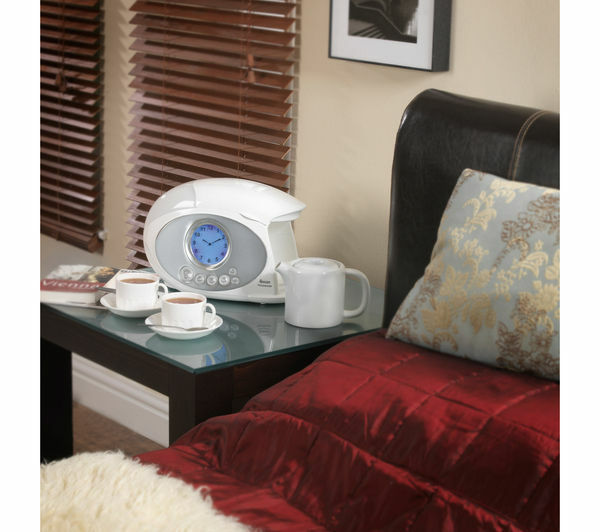 The machine's compact size and large LED clock display make it the perfect bedside companion. 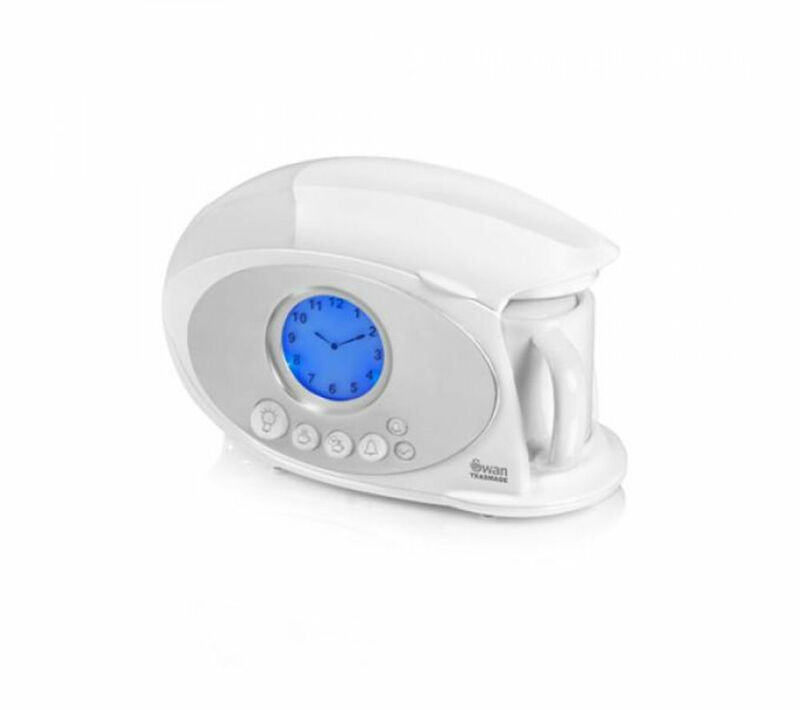 Simply set the alarm and the Teasmade will make your cup of tea ready for when you wake up. The STM200N Teasmade has a 600 ml capacity and can make two cups of tea at once. Its illuminated LED analogue clock features auto dimming and lets you keep an eye on the time morning and night. What's more, its integrated reading light makes it perfect for catching up on some night time reading before bed. Wake up to a fresh brew every day with the uniquely-styled STM200N Teasmade.